During the springtime months of mid to late April, avid fishermen head to the Great Lakes and the surrounding tributaries to fish for smelt. 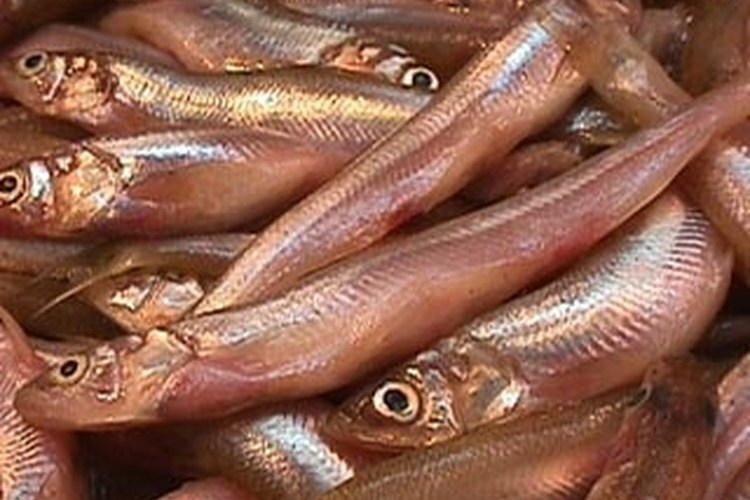 Smelt are small fish known to the Great Lakes region of the United States and are renowned for their tastiness and for their use as bait for attracting larger fish. Smelt fishing is not only about the enjoyment you have while catching them but also about having fun! Anyone in any age group can join in, and you don't even need a fishing pole. Choose a time just after sunset to head down to the shoreline. Make sure to have your fishing license with you at all times. Fill your cooler with ice. Slip on your waterproof hip boots. These keep your legs dry and warm while you dip for smelt. Get into the water where the smelt are running. Use your head flashlight to watch for schools of smelt under the water. Dip your fishing net into the water where the schools are active. After each scoop, dump the smelt into your bucket. Empty the bucket of smelt into your cooler to keep the smelt fresh. The best place to look for smelt is near the shorelines of the Great Lakes or the tributaries or rivers that they dump into. Lake Superior has some of the biggest smelt in the area. The best time to go smelt dipping is right after dark in the late evening. During and right after a good rain is the best time to dip for smelt. Temperatures ideally should be around 40 degrees for the smelt to run. Ask locals in the area to see if the smelt are running before you head out to fish. In Michigan, the water is still extremely cold in the spring months; be sure to dress warm and always watch for signs of hypothermia. Wear plenty of warm clothing if you are going to be exposed to the elements of the weather. Know the waters you are fishing in, sometimes the bottom of the lake, even near the shoreline, can drop off, making it unable for you to touch or reach the bottom. Wear a life jacket for an added safety measure.